Ashish is registered with the General Dental Council as a specialist in orthodontics (Registration number: 68433). He carried out his orthodontic training in London and was Head of Orthodontics at the University of Birmingham’s School of Dentistry. He was also a part time Consultant at Birmingham Dental Hospital where he was involved in training postgraduate students. He is a member of the British Orthodontic Society (BOS) and has previously been Webmaster and Council member for this organisation. He has also served on a number of BOS committees including the Training Grades Group, The Development and Standards and the Clinical Effectiveness Committees. He is a member of the World Federation of Orthodontists and an International member of the American Association of Orthodontists. 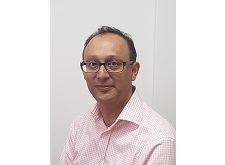 He has published extensively in the national and international orthodontic literature and completed his PhD thesis in 2006 at the University of Birmingham looking at the effects of orthodontic forces on the dental pulp. In 2003 he was awarded the Chapman Prize by the BOS for his research. Camilla qualified from the University of Birmingham in 1989. Since then she has worked in family orientated general dental practices in Wolverhampton, Sutton Coldfield, Lichfield and Derby. She enjoys all aspects of general dentistry and has a special interest in orthodontics, she is registered with the General Dental Council (Registration number: 64887) and has worked at the practice as a clinical assistant for two years while also working as a clinical assistant in the orthodontic department at Queen’s Hospital in Burton since 2009. Rachel has 20 years dental experience. She started her dental nurse training in 1998 and qualified in 2000. After eleven years nursing in general practice she decided to specialise in orthodontics joined the practice in 2009. Since starting with the practice, she has qualified as a dental radiographer in 2009 and has qualified as an orthodontic nurse in 2010. She has completed various other courses such as first aid in 2015 and 2018, impression taking in 2015 and has been calibrated twice in occlusal indices in 2009 and 2014. She is registered with the General Dental Council (Registration number: 173988) and regularly undertakes training in safeguarding, medical emergencies, radiation protection and infection control. 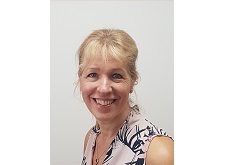 Rachel is the practice first aider, has recently been promoted to the position of practice manager and is currently studying for her practice management diploma. Lisa joined the practice in 2015. She undertook her dental nurse training at the Birmingham Dental Hospital in 2005 where she qualified in 2007. She is registered with the General Dental Council (Registration number: 132171). 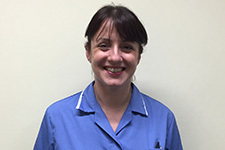 Lisa has completed various additional courses such as impression taking in 2015 and qualified as a dental radiographer in 2016, she is calibrated in occlusal indicies and regularly undertakes training in safeguarding, medical emergencies, radiation protection and infection control and has recently been promoted to the position of senior nurse within the practice. 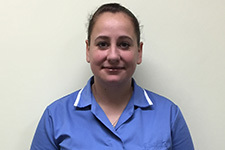 Shadiya joined the practice in August 2017. She has over 5 years experience having worked in general dentistry and specialist practices since 2012, first as a trainee, she obtained her level 3 Diploma in Dental Nursing in 2014. She is registered with the General Dental Council (Registration number: 254660). 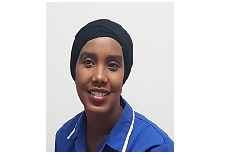 Shadiya qualified as a dental radiographer in 2017 and she regularly undertakes training in safeguarding, medical emergencies, radiation protection and infection control. Shadiya has a keen interest in oral hygiene and is currently studying towards her dental nursing oral hygiene certificate. Carrie joined the practice in October 2017 as our new receptionist. 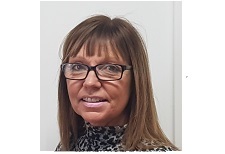 She has 10 years experience in General Dental Nursing, starting first as a trainee, then having passed her NVQ Level 3 in Dental Nursing becoming a qualified Dental Nurse in 2010. She is registered with the General Dental Council (Registration number: 200396). 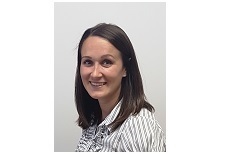 Carrie has expanded her training and completed further courses in Impression Taking and Fire Marshalling and she regularly undertakes training in safeguarding, medical emergencies & infection control. Keely joined our practice in 2017. Prior to this she started dental nursing in 2009 and gained her NVQ level 3 Dental Nursing qualification in 2011. The following year she gained her Dental Radiography qualification. During this time she developed her passion for Orthodontics and started training in Orthodontic Therapy and gained her diploma in 2013. She is also calibrated in occlusal indices. 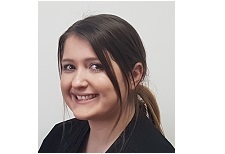 Keely is registered with the General Dental Council (Registration number: 218752) and regularly undertakes training in safeguarding, medical emergencies, radiation protection and infection control.